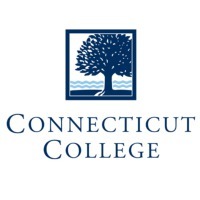 Review: Connecticut College (Conn College or Conn) is a private liberal arts college located in New London, Connecticut. The college was founded in 1911 in response to Wesleyan University closing its doors to women. The campus is located on the Thames River, overlooking the Long Island Sound on the highest point in New London. It is a member of the New England Small College Athletic Conference (NESCAC), and is considered to be among the group of colleges called the "Little Ivies." Known for its interdisciplinary academic centers, Connecticut College is in the midst of a major fundraising and building campaign. Over the past several years the college has renovated many of its older dormitories, completed numerous classroom renovations, and constructed a new fitness center. The college is in the final planning stages of a new life science and computer science center, an international commons, and is continuing to renovate the remainder of its older dormitories and classroom spaces. Connecticut College's fourth strategic plan (2004) introduced the College's new mission statement: "Connecticut College educates students to put the liberal arts into action as citizens in a global society." Location & access map for "Connecticut College"